In Tibet before 1959, there was a programme called Jang Gunjhu – gun means winter, jhu signifies debate, therefore winter debate in an area called Jang. At the time, the bigger monasteries were not studying the various Pramana texts as part of their curriculum, so during the winter they would go to Jang and debate for one and a half months on these texts. Rato monastery would take charge of the debating programme and its rules and regulations. This has historically been a big event and is an age-old tradition for all the main monasteries. Once in exile, in India, this program was re-established in Drepung, Gaden and Sera monasteries and continues to take place even today. Alternately each monastery hosts the winter debate in rotation. It is a wonderful forum to demonstrate individual and community level talent. The debate is a great platform to learn and share from each other’s schools of thought and inculcates a genuine respect for different traditions. 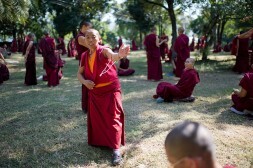 This has been very successful with monks, but no such programme has existed for nuns. In monastic history, nuns have never received a serious education. Nunneries in Tibet were mainly conducting rituals and did not have any systematic study programs. His Holiness stresses that it is imperative that nuns be given the same opportunities afforded to monks. Dolma Ling Nunnery, Jamyang Choeling Nunnery, Gaden Choeling Nunnery and Jangjhup Choeling Nunnery have started to hold the winter debate in rotation every year. Rinchen Khando-la instituted the nuns debate programme, while the funding was provided by the Dalai Lama Trust. This is a wonderful new experience for nuns. Another exciting opportunity for nuns has now been presented. 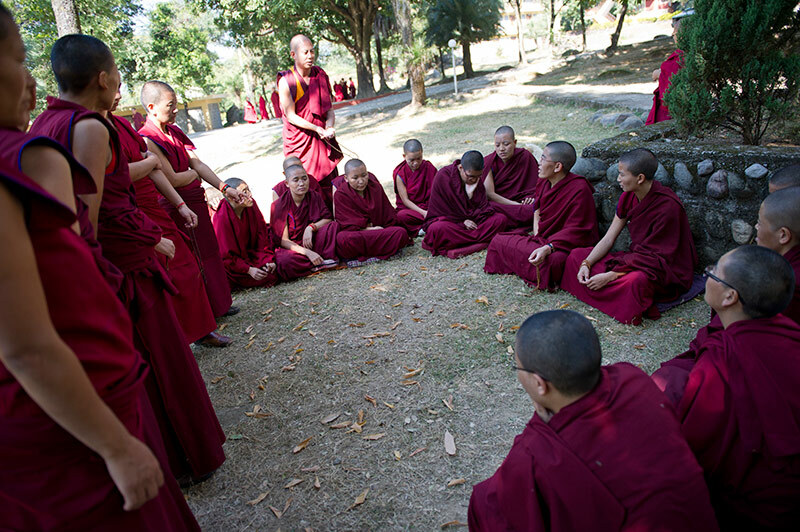 From 2013, nuns have started taking the exams for the Geshe Degree, and in 4 years will be receiving their certificates on passing the various examinations. All these changes in favour of nuns are a very encouraging and inspiring shift in the traditional thought process, especially given that monastic traditions have been in place for centuries. This is a historical change in the direction of equality, tolerance and democracy that we are delighted to embrace under the leadership of His Holiness the 14th Dalai Lama.